Darren was a Northern Ireland youth, Under-21, 'B' and full international. He had been at West Bromwich Albion, Wigan Athletic, Crystal Palace and Luton Town, with a short spell on loan at Preston North End. 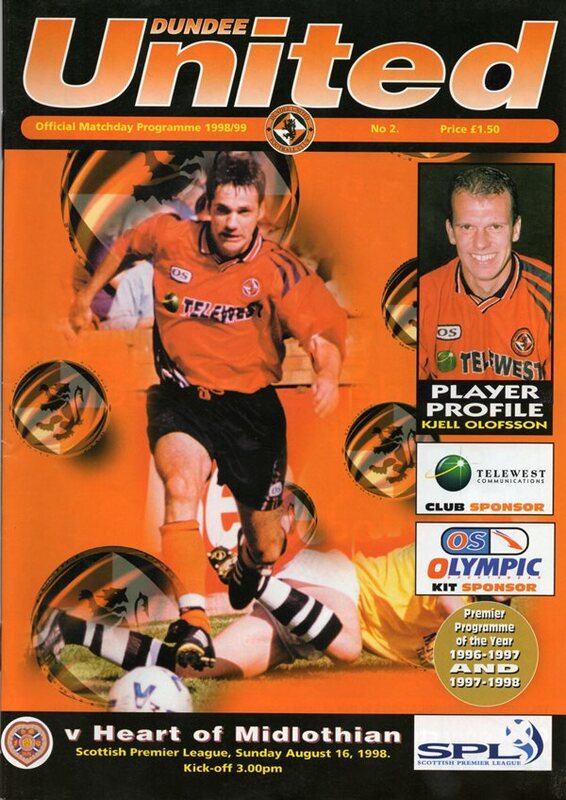 He moved to Tannadice in the summer of 1998 but injury delayed his debut and after a relatively successful first season, he had a difficult time with injury in 1999-2000 and made only a few appearances. He was released in July 2000 and eventually won a short-term contract at York City. Darren was born on this date in Belfast, Northern Ireland. Very little separated the two sides as we picked up our first point of the season. We shaded the first half, but injuries to Lars Zetterlund and Siggi Jonsson early in the second half disrupted the flow, enabling Hearts to have the better of things until the end. So a game of few chances finished goalless with a draw just about the right result. A narrow escape at Forthbank as a timely Darren Patterson counter earned us a replay. It was the second time we had to come from behind, Kjetl Olofsson's well executed equaliser negating Nicholl's rocket opener from 30 yards. Gardner drilled in an 18 yarder to give Bankies the lead again before Darren Patterson met a Joe Miller corner which though cleared had first crossed the line to save our bacon.